Great combo! Must've been so good! 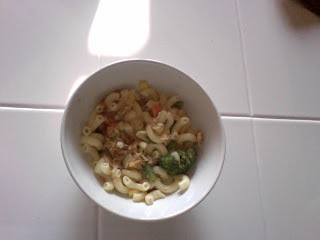 Mac & cheese with broccoli and crab sounds delicious! Great idea for leftover crabcakes. I wanted to thank you for stopping by my site and the wonderful comments. I love mac and cheese espcially with goodies mixed in. Judy: it my first crab cakes, made by me to! Great combination!!!! I always make mac and cheese with broccoli....adding crab delicious idea. This looks delicious! You should send this to BSI Broccoli! Nice seeing you at my blog and thanks so much for the cheering on. New bloggers need this. I am thrilled you are adding this recipe to the BSI. It looks like it is tasty and a comfort food. How does one beat that? Yum! Great meal and great BSI submission. hey rbecca..your little jasmine is so sweet in the last post.. Your little tot seems to be a great eater! I'll have to make this for lunch!